The Guided Multiple Launch Rocket System (GMLRS) is a tracked, self-propelled, indirect fire, ground rocket/missile system used by the U.S. Army. 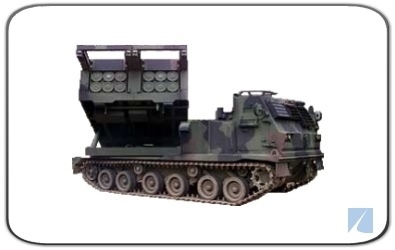 It is capable of firing all rockets and missiles in the current and future Multiple Launch Rocket System (MLRS) family of munitions, as well as the Army Tactical Missile System (ATACMS) family of munitions. The system is manufactured by Lockheed Martin. The GMLRS is an international cooperative program among the United States, France, Germany, Italy, and the United Kingdom. Other international customers include Bahrain, Japan, Jordan, Singapore and the United Arab Emirates. The GMLRS features the MLRS M270A1 C-130 transportable, tracked launcher aka SPLL (Self-Propelled Loader/Launcher), which consists of an electronic Fire Control System (FCS), a carrier (M993 stretched Bradley chassis) and a launcher-loader module that performs all operations necessary to complete a fire mission. The M270A1 launcher appears identical to older M270s but incorporates an improved FCS and an improved Launcher Mechanical System (LMS). M270A1 launchers feature improved survivability, reduced operating cost, increased munition options and GPS navigation. The Army began converting the MLRS fleet from M270s to M270A1s in 2002. The M270A1 is somewhat similar to the wheeled M142 HIMARS launcher. The two fielded GMLRS rocket variants are the M30 GMLRS with Dual Purpose Improved Conventional Munitions (DPICM) and the M31 GMLRS Unitary, a 200-pound class high explosive warhead. The older M26, M26A1 and M26A2 rockets are no longer fielded. The M31 (the only variant currently being purchased by the U.S. military) integrates a multi-mode fuze and high explosive warhead, making it an all-weather, low collateral damage, precision strike rocket. It employs GPS/INS guidance and has small canards on the rocket nose to improve accuracy. The M31 has a range of over 43.5 miles (70 km). The M31 rocket has demonstrated high effectiveness and low collateral damage while supporting troops in combat. The M31 achieved Initial Operational Capability (IOC) in 2006. 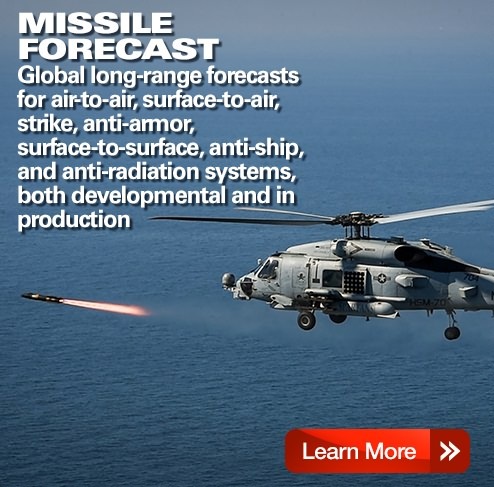 On April 24, 2012, Lockheed Martin received a $79.4 million contract from the U.S. Department of Defense to develop a new GMLRS Unitary variant that incorporates a so-called Alternative Warhead (AW) The new warhead will achieve the same wide area effects as DPICM, but not leave unexploded ordnance behind. On May 22, 2013, Lockheed Martin successfully conducted the first Engineering, Manufacturing and Development (EMD) flight test of the new GMLRS Alternative Warhead (AW) at White Sands Missile Range, New Mexico. The AW is being developed by Orbital ATK under subcontract to Lockheed Martin. The AW is part of a plan to create a GMLRS variant that meets the DoD's cluster-munition policy and is compliant with the provisions of the Convention on Cluster Munitions. On July 28, 2014, Lockheed Martin announced that the AW had successfully completed all Developmental Test/Operational Test (DT/OT) flight tests. The GMLRS AW rocket was cleared for Full Rate Production in May 2015 and achieved IOC in September 2016. The GMLRS AW is 90% common with the Unitary variant. By September 2016, Lockheed Martin had produced more than 25,000 GMLRS rockets at its facility in Camden, Arkansas. A 15-year GMLRS production forecast is available through Forecast International's Platinum Forecast System, which includes a breakout of total market unit and value statistics by manufacturer and end-user. This real-time service also includes information on all prime and subcontractors, contract awards, worldwide inventories, a complete program history, and a rationale detailing the outlook of the program. A 10-year GMLRS production forecast is also available in report format through Forecast International's Ordnance & Munitions Forecast service. To neutralize or suppress enemy field artillery and air defense systems and supplement cannon artillery fires.